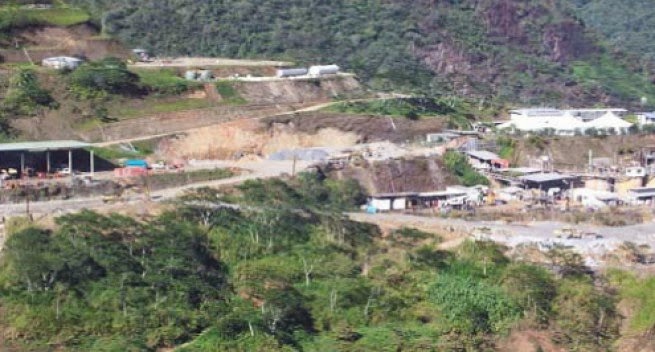 Petromin PNG Holdings Limited (Petromin) subsidiary Tolukuma Gold Mine (TGM) in Central Province is set to cease operations mid April this year. TGM owner Petromin, who acquired the mine in 2008, has made this known during a visit to the mine site last Tuesday. According to a statement released later that week, Petromin said it has been subsidising operations for the past four years as it struggles with high operating costs, low gold price, lower grades and dwindling resources. Petromin managing director, Thomas Abe, who was among the delegation visiting the mine, pointed out that Petromin had spent large amounts of money in recent years, including over K10 million in the first three months of 2015, for which he said has come despite significant cost savings made at the operation in the past six months. Mr Abe said the situation is that the mine is unable to produce enough gold each month to cover costs attributing to this, as the sole reason why Petromin is planning to cease operations this month. He said the company is consulting with regulators, stakeholders, employees and local landowners as it prepares to move to a care and maintenance phase. Petromin said it is facing new pressures with a pending restructure significantly affecting income, and the cash drain from Tolukuma has adversely affected its balance sheet to the point that it can no longer keep supporting operations. Furthermore, the company claims the high cost structure of the operation has not been helped by the lack of road access, something the National Government had agreed on years ago, but not yet actioned. According to the statement, Petromin is keen to ensure that TGM’s 320 employees receive their full entitlements, and that the welfare of the landowners and settlers at Tolukuma is a priority. It further stated that the workers want Petromin to ensure they receive full entitlements, and that any engagements of people involved in care and maintenance should be on a separate agreement. Petromin said landowners petitioned the delegation for a special meeting to discuss the implications of the closure, outstanding MOU and other commitments from TGM and Petromin.